Vulcan software provides the mining industry with the most advanced 3D geological modelling, mine design and production planning solutions. Eureka provides an interactive 3D environment for visual interpretation of exploration data including drilling, geophysical surveys, maps, imagery and GIS. Evolution provides enterprise level strategic and tactical mine planning tools for scheduling and optimisation for open cut mining. BlastLogic is an accuracy management system that streamlines tasks and processes in open cut drill and blast operations to improve mineral recovery. MineSuite technology systems allow operations to track, monitor and report on products, equipment, processes and personnel. 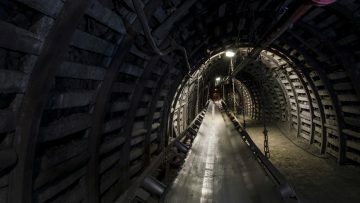 CaveLogic strategic software simulates multiple scenarios for identifying the most economic, efficient way to mine using mass subsidence methods. Maptek laser survey technology combines long range laser scanning hardware with processing and modelling software for industrial survey projects. PointStudio software is an intuitive point cloud processing and modelling package for mining, civil, geological and surveying applications. 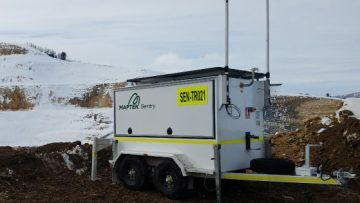 Sentry is a laser based spatial solution for remote monitoring of surface stability and critical risk management in open cut and underground mines. PerfectDig is an intuitive system to rapidly compare excavations against designs in the field, improving decision making and resource recovery. 3d-DigPlus provides the mining, civil and construction industries with 3D simulation of processes such as excavation, transport and dumping. Efficient and effective underground drill & blast analysis and design. Analyse slope stability in 3D to better understand the nature and cause of structural failures and to manage risk. Maptek is a leading provider of innovative software, hardware and services for the mining industry. Maptek delivers end to end solutions across all key aspects of the mining value chain. 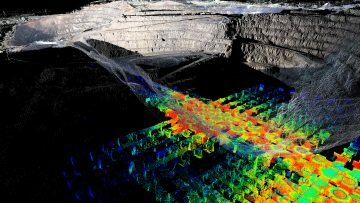 Maptek technology solves issues and helps mining operations improve productivity. Our experienced mining engineers, geologists and surveyors combine their expertise with the best mining technology to help you achieve your goals. Maptek consulting services can help you to complete survey, modelling and optimisation tasks to meet project and contractor deadlines. Maptek provides expert IT services and application development to the mining industry to help operations achieve defined business outcomes. Maptek understands the diverse needs of our customers. We provide training for all Maptek products, in group or individual settings, and tailor courses to meet specific needs. Maptek provides responsive technical support for our products. Find office, email and telephone contact details to get the help you need. Submit a support request online. The secure Maptek users area is an online resource for product downloads, FAQs and user forums. Videos cover a range of topics and approaches using Maptek products and services. Learn ways to apply our solutions to benefit your operation. 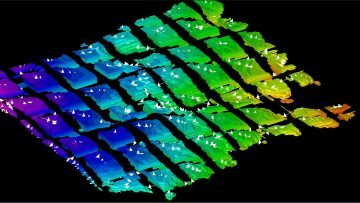 Discover the benefits and features of Maptek products in these overview videos. Watch webinars on various topics and learn about the latest solutions from Maptek subject matter experts. Watch tutorials outlining ways to apply various tools. Learn the latest techniques for efficient workflows. Short bite size videos include tips and tricks for applying common tools and solutions. An overview of Maptek, our products, solutions and operations. A brief history of Maptek, including milestones of our 35 years of operation. Information about careers at Maptek and current vacancies. Keep up to date with the latest product solutions and news about Maptek global activities. Maptek media announcements cover new product releases and company initiatives. Find conferences, seminars and tradeshows where Maptek is exhibiting and/or presenting papers. The free quarterly Maptek Forge newsletter includes case studies, product and corporate news. Maptek blogs cover a range of industry topics, sharing insights from across our global network. An online repository of all Maptek learning resources, from white papers to blogs and case studies. Submit a contact form for general inquiries. Contact details for Maptek global offices. Contact details for resellers of Maptek products. Maptek has released a cold climate model of its award-winning mobile Sentry system for stability monitoring. Maptek has announced further investment in MinLog, building on a longstanding partnership that bridges the gap between mine planning and mine production. 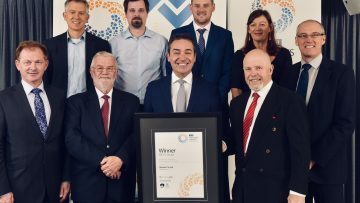 Innovative slope stability monitoring system Maptek Sentry has been recognised for its excellence in the South Australian Premier’s Awards in Energy and Mining. The leaders in intelligent mine scheduling optimisation have pushed the benchmark even higher with the recent release of Maptek Evolution 5.1. The launch of PointStudio 8 from Maptek heralds a new name, platform and ribbon interface to the long-standing point cloud processing and modelling software.